Baza AntiFungal Cream, 5 oz. Antifungal cream treats and relieves the pain and discomfort of superficial fungal infection associated with incontinence. Use under plates, glasses, utensils, and more!! 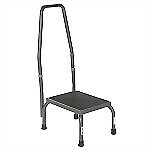 Durable steel welded construction with convenient gripping handle, non-skid surface, and flared legs for added safety. Allows users to comfortably pull on socks or stockings using 2 long handles that assist with limited hand function and back problems. 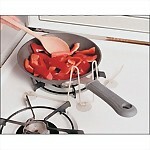 Holds pots and pans securely in place so that users can stir with one hand. Ideal for those with arthritis or limited hand function. 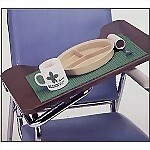 Size: 16" x 4 1/2"
Provides a convenient way for seniors with limited hand function to easily clean their fingernails. 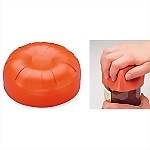 Simply attach two rubber suction cups to surface, which will hold the brush securely in place. 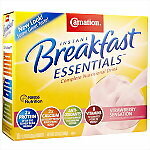 An economical alternative to expensive pre-mixed nutrition drinks with 21 vitamins and minerals. 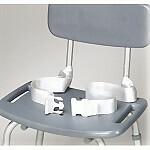 Durable 2" wide nylon self-releasing seat belt easily attaches to the chair to provide positioning safety for easier bathing or showering. 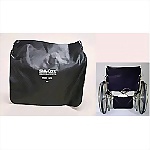 Can be used with most bath chairs, shower seats, commodes, and toilet safety frames. The U-shape base of this table is not only convenient for use while in bed, but also accomodates most room seating by leaving room for your feet while seated. 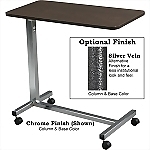 Features walnut laminate top, chrome finish, and easy spring-loaded height adjustment. 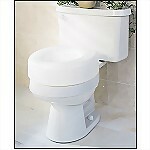 Elevated, yet economical toilet seat that provides a universal design to fit most standard size toilets and raises seat height by 5" above bowl. 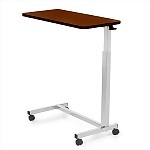 Quality H-Base walnut laminate top non-tilting overbed table includes durable metal base and mast, easy height adjustment with spring-loaded column, and four swivel castors to ensure smooth mobility. This black pouch is used to store urinary drainage bags to maintain patient dignity. 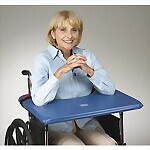 Can be used with wheelchairs, geri-chairs, and bed rails. Provides a convenient grip for those with weak hands. The soft shape conforms to almost any size cap allowing the user to effortlessly open anything from small vials and bottles to large jars. 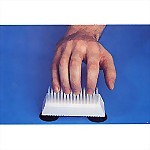 Offers extra control to overcome gripping difficulties, arthritis, and limited dexterity. Automatically positions and angles correctly for use with little or no gripping ability needed. 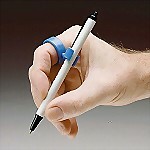 Includes 3 sizes to fit different fingers.